A great smile can make you look younger and healthier, improving your self-esteem and having a positive impact on your relationships with others. 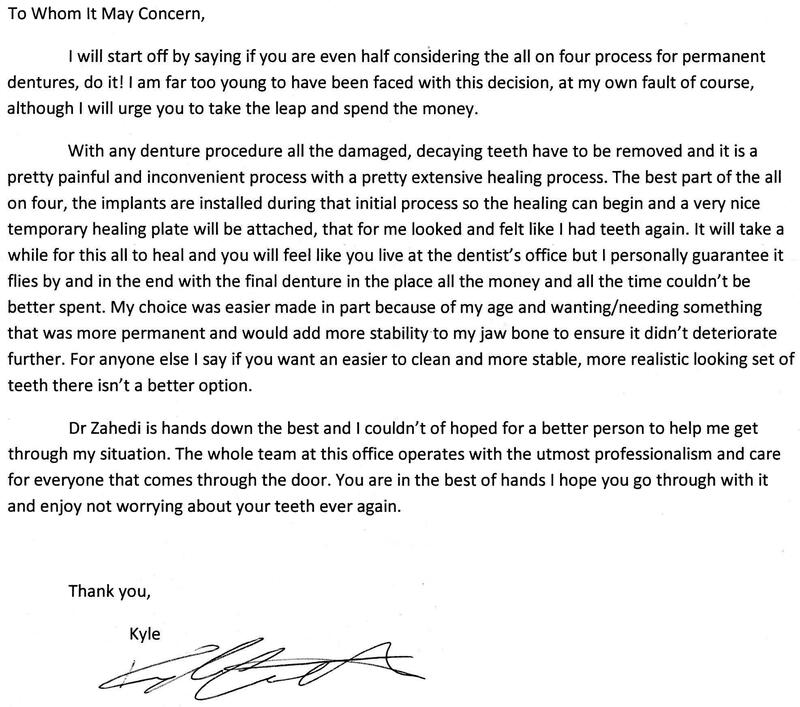 At Kathy Zahedi, DDS & Associates in Santa Monica, California, Dr. Zahedi offers All-on-4Ⓡ dental implants to replace missing or damaged teeth and give you the smile you’ve always wanted. To learn more about All-on-4 dental implants or schedule a consultation, call or book online today. All-on-4 dental implants offer a cost-effective, natural-looking, and long-lasting solution for missing or damaged teeth. The All-on-4 system requires fewer implants than traditional dental implantation, and the procedure can be completed in just one day. The All-on-4 system can even replace a full set of missing teeth with just four implants on top and four on the bottom. If you’re lacking sufficient bone density, Dr. Zahedi may use five or six implants in your upper jaw. Unlike traditional implants that require months to place and heal, Dr. Zahedi completes the All-on-4 procedure in one day, and she can do so on the same day she performs any extractions necessary to accommodate the fixed bridge. With All-on-4, your recovery period is also much shorter than with traditional implants. 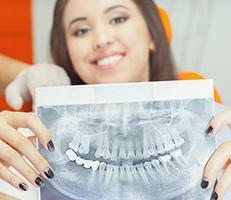 If you have insufficient bone density, traditional implants may require a bone graft. All-on-4, on the other hand, uses implants that are placed at a 30- to 45-degree angle offering improved support without grafting additional bone tissue. During your initial consultation, if Dr. Zahedi determines that All-on-4 dental implants are suitable for you, she takes impressions of your mouth, which she sends to the lab where your custom dental bridge(s) will be created. Because All-on-4 placement requires surgery, you will receive anesthesia before the procedure. If you need to have teeth extracted, Dr. Zahedi removes the teeth and thoroughly cleans your gums, clearing your mouth of any damaged tissue and bacteria. She then drills two holes in the front and two holes at the rear of your jaw to hold your titanium implants. Dr. Zahedi places the implants in the holes and stitches up any incisions. Your dental bridge is fastened to the implants, giving you a full set of teeth and a brand-new smile in just one appointment. Over time, the titanium implants fuse to your jawbone through a process called osseointegration, providing additional strength and support to your new teeth and allowing them to function just as your natural teeth once did. 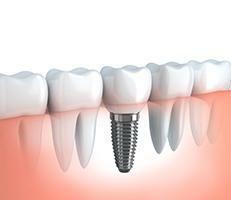 All-on-4 implants are a permanent tooth replacement solution that can last for a decade or more if properly cared for. To find out if All-on-4 dental implants are right for you, call Kathy Zahedi, DDS & Associates or book an appointment online today.